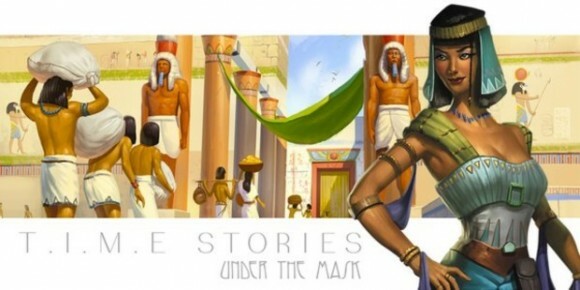 Under the Mask is the third expansion for T.I.M.E. Stories, a thrilling, cooperative game of time travel, alternate realities, and unlimited discovery. In Under the Mask, you and your fellow temporal agents must travel back to ancient Egypt to solve a crime that threatens to destabilize the future. With its 142 new cards, the scenario from Under the Mask immerses you deeply in a land and age of wonder and intrigue. And, for the first time, as you explore this historical world, you'll be able to take advantage of the instantaneous transfers permitted by your team's Instantaneous Transfer Device! 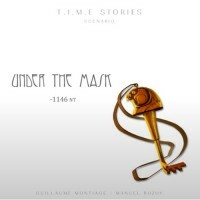 Add a Review for "T.I.M.E Stories: Under the Mask"